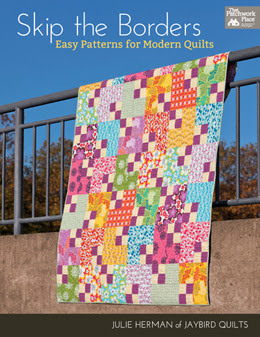 I've got some new patterns coming soon! 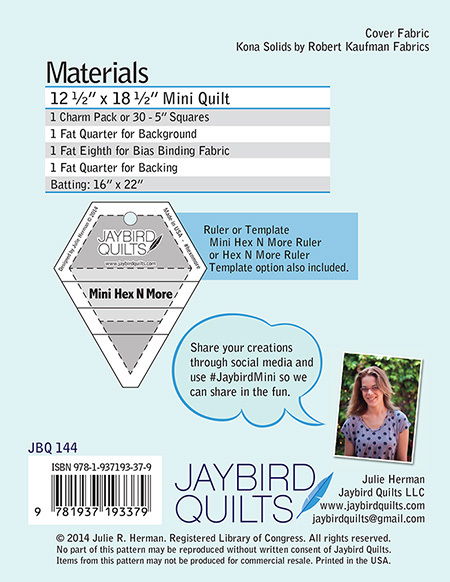 Since we're having so much fun with our mini quilts and Mini Hex N More ruler, we made some new friends to join the #JaybirdMini bunch. 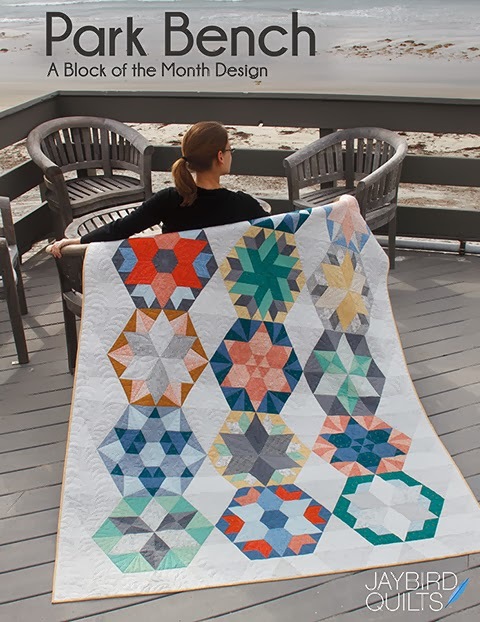 There's also a new full sized Hex N More pattern, too! 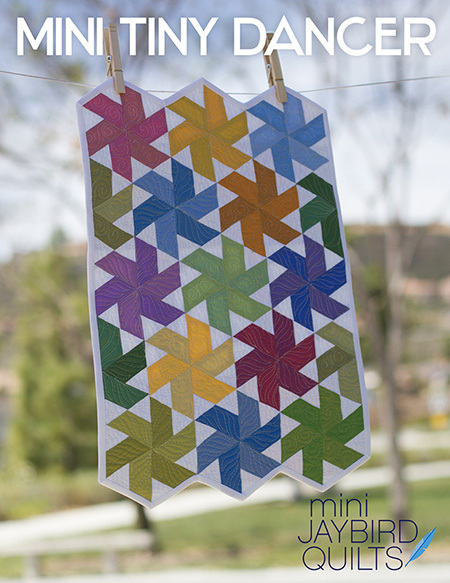 Here's my Mini Hex N More ruler hanging out with some Robert Kaufman Kona charm squares on the dining room table. Introducing.... from left to right, Mini Come What May, Mini Tiny Dancer, & Mini Lotus. 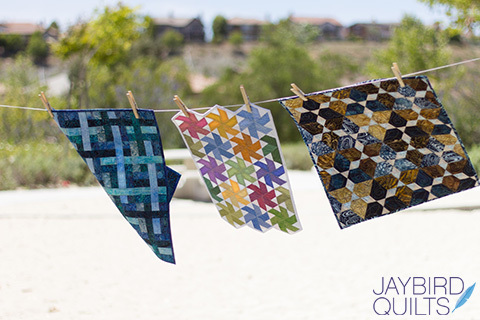 And here's the whole #JaybirdMini quilt line up: Mini Disco, Mini Lotus, Mini Come What May, Mini Northern Lights, Mini Radio Way, & Mini Tiny Dancer. 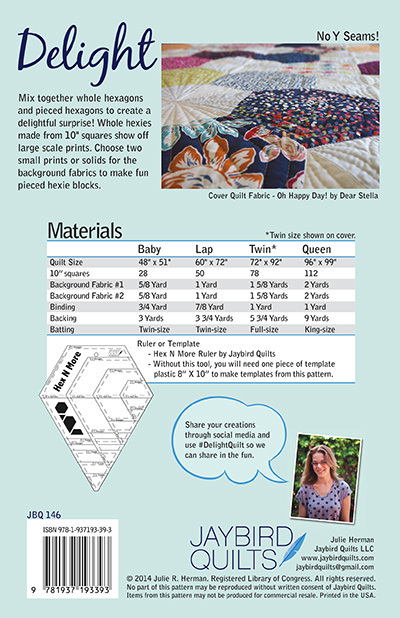 I'm excited to introduce #DelightQuilt. 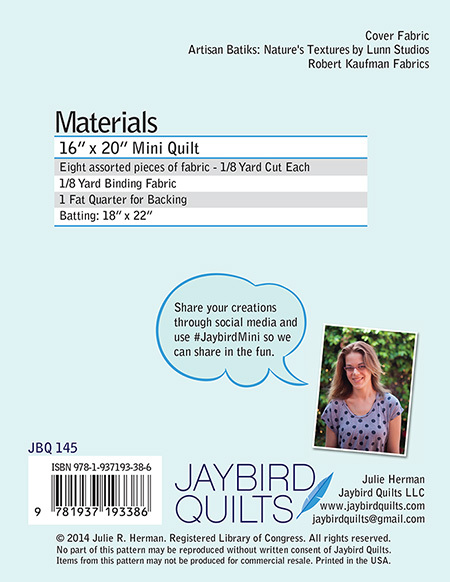 This new pattern is perfect for those large prints you just can't cut up! 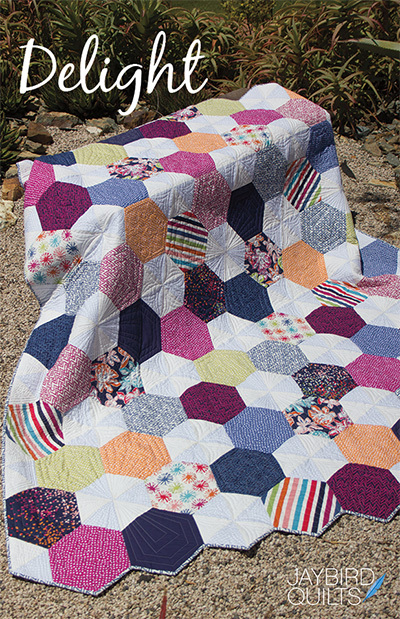 The fabric featured is Oh Happy Day by Dear Stella. 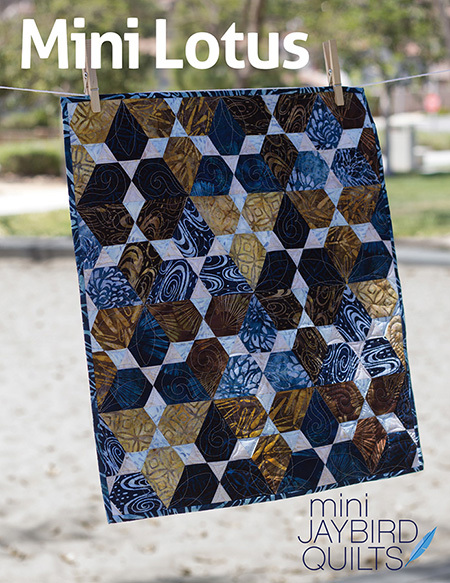 Mini Lotus, Mini Tiny Dancer, Mini Come What May are all available now! 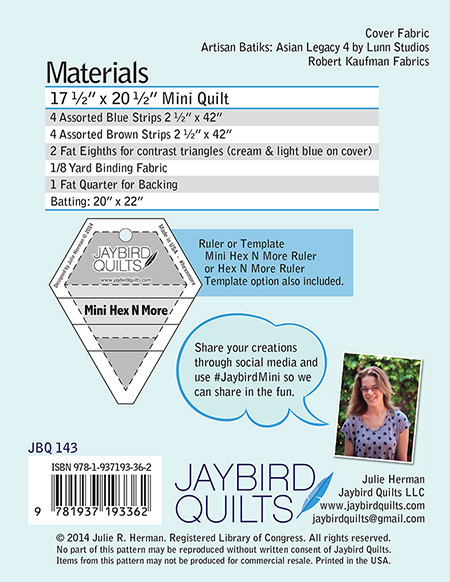 Ask for them at your local quilt shop! 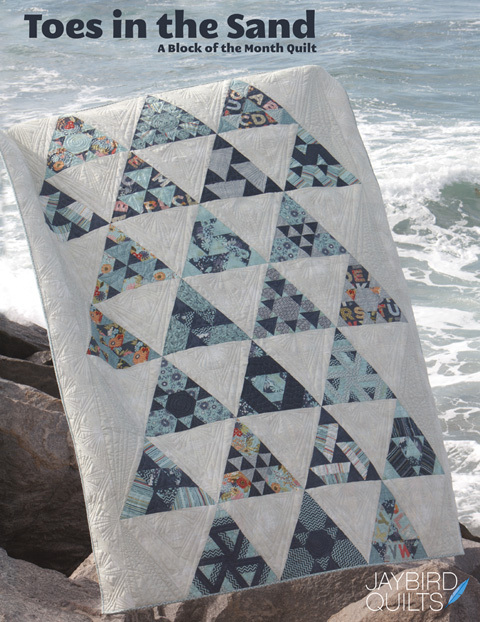 Delight will be available to ship to shops June 1. 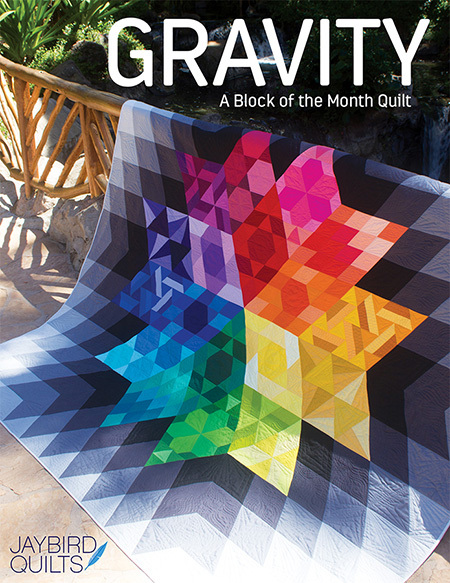 Look for the patterns to arrive in shops, local + online, the first week of June or so. 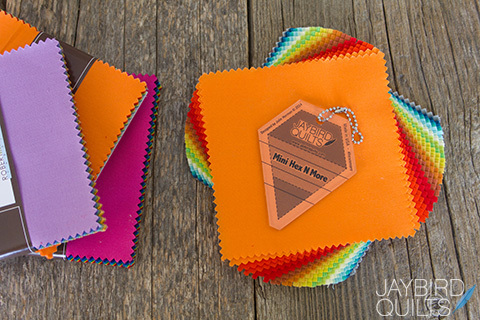 The Mini Hex N More ruler is available now. 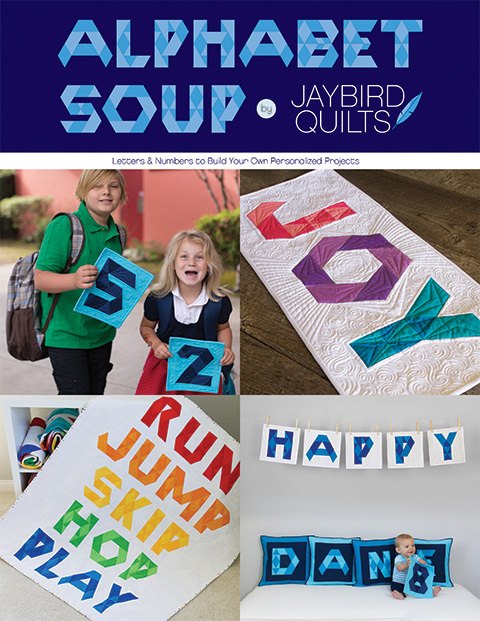 Check my 'Where to Buy' page for shops and be sure to ask for it if you don't find it. Is dear Stella going to offer precuts? Looks wonderful! 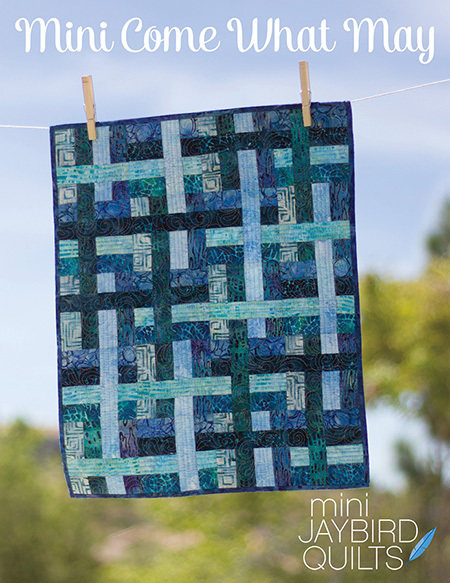 Can't wait to make one of the mini quilts. 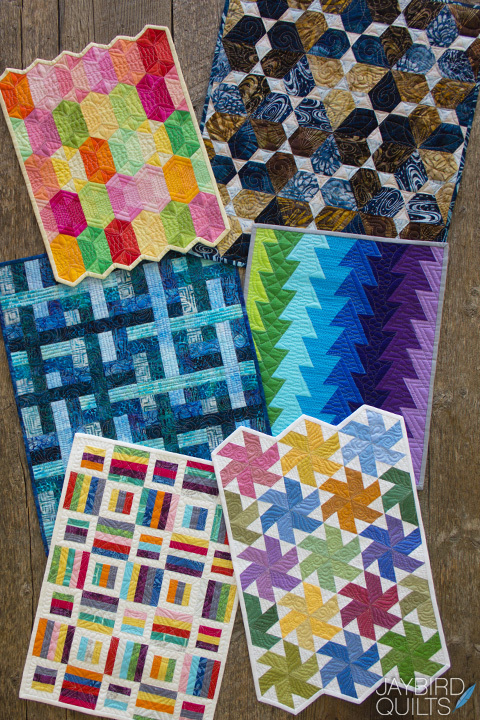 Love the mini quilts - I seem to only be able to do queen and king size and then mini- nothing in between - but the mini's are for my kitties to sleep on. Need Traffic and Snack Time in mini now! Wow Julie! You have been busy. I love every single one of these! YAAY! These are so fun! I love the new designs! I can't wait to get a ruler! 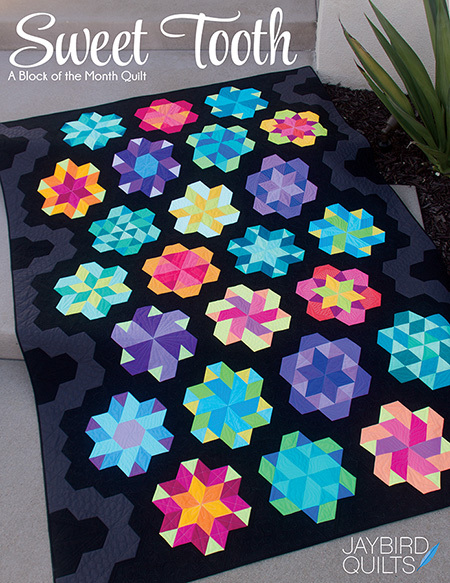 Will they be available at quilt market? It is fun to see these as minis too! !